With this letter, we aim to express the degree to which the scientists and intellectual leaders of our state, speaking for themselves and not on behalf of their respective employers, agree on the facts of climate change. 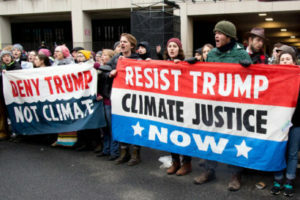 Despite misleading portrayals, there is widespread consensus in the scientific and academic communities that human-caused climate change is real, with consequences that are already being felt. The science of how greenhouse gases trap heat is unimpeachable. Climate records are being broken as human-caused changes add onto natural oscillations (e.g., El Niño) in the climate system. Fossil records from pre-human times show much higher sea levels and a reorganization of vegetation patterns when greenhouse gases were higher and Earth’s climate was much warmer than today. Increasing levels of greenhouse gases in our atmosphere set in motion regional variations in weather, weather extremes, the loss of major ice sheets, and declining biodiversity that has been associated with mass extinctions in Earth’s past. 2344 faculty members, listed on the following pages.